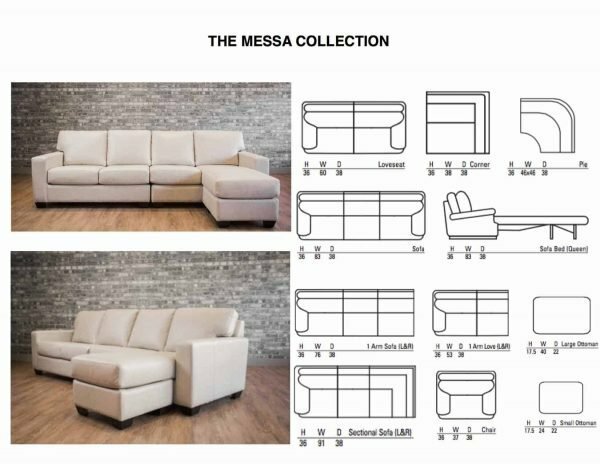 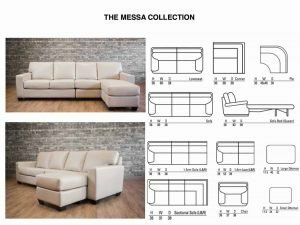 The Mesa Collection is available as a Sofa, Love-seat, Chair or Sectional. 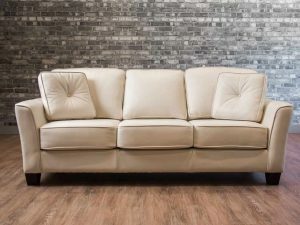 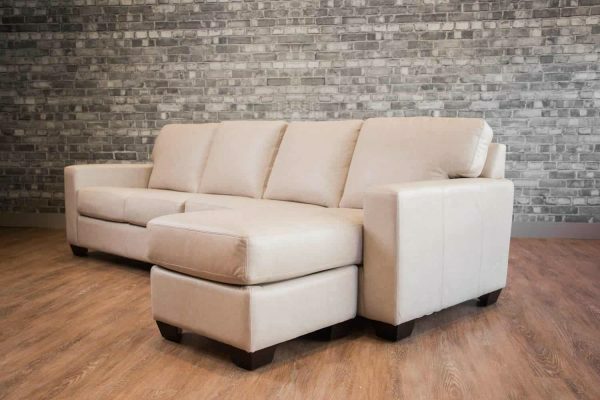 Shown here as a four seater sofa in Etna Beige. This Waterfall Arm set with Track look is part of our Platinum Series. 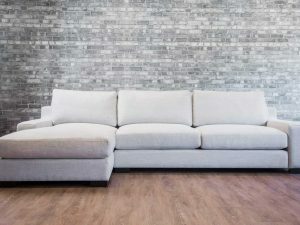 It includes cool gel feather fill and a web and coil spring construction. 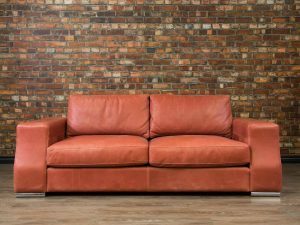 A wonderful casual look that is very inviting. 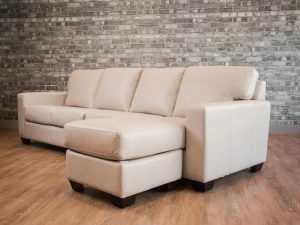 Available as a Sofa, Condo Sofa, Love Seat and Chair. 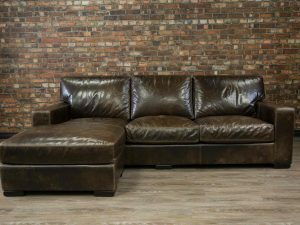 Made in Canada by Boss Leather Genuine Top Grain Leather Kiln Dried Hardwood Frame Available in many leather colours and grades. 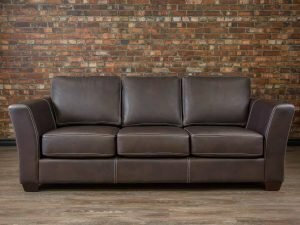 The Frontier is most definitely the ultimate traditional sofa style with such close attention paid to the wonderful details throughout it's almost hard to look away. 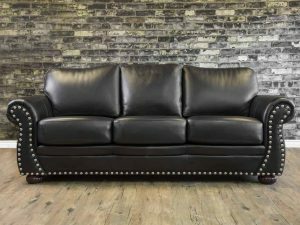 Shown here in an Armani Black with chrome studs, it's raised Camel Back and fine detailed studding truly makes for a piece crafted with distinction. 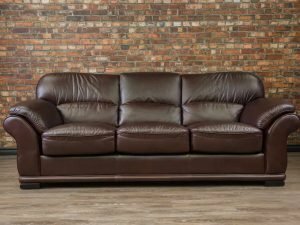 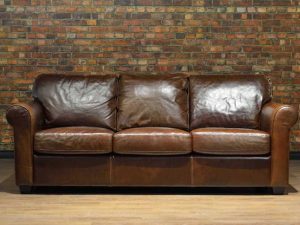 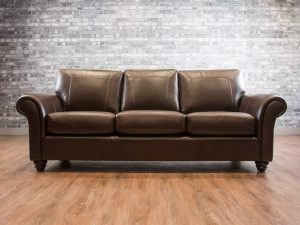 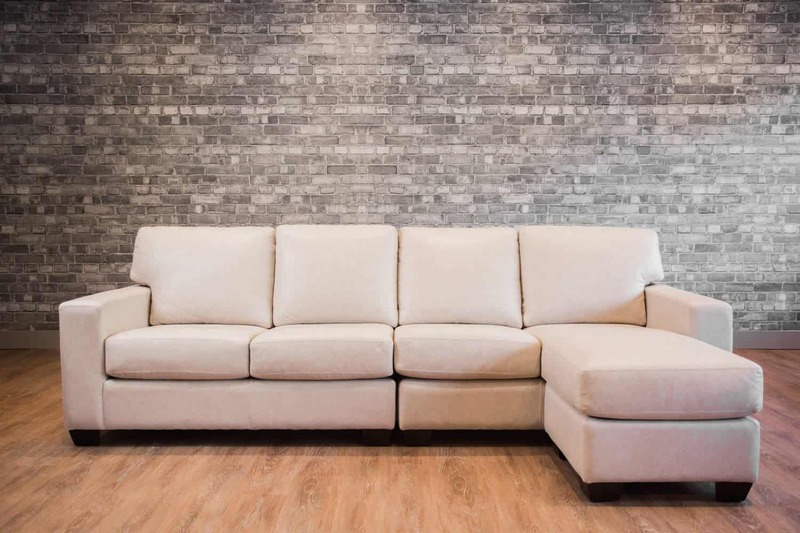 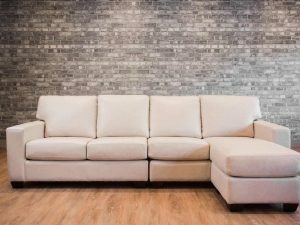 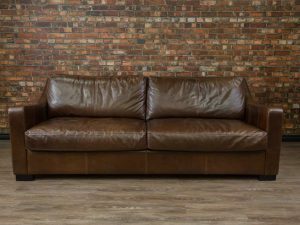 Available in Sofa, Love-seat and Chair Bench-made in Canada by Boss Leather Genuine Top Grain Leather Kiln Dried Hardwood Frame Available in a wide assortment of leather colours and grades and your personal choice of stud sizes and styles.